“They chose to locate where the complex and all of its operational components will have a devastating impact on our environment and public health,” said Errol Summerlin of the Coastal Alliance to Protect Our Environment at a Thursday news conference near the state Capitol. Summerlin, a retired lawyer, said he lives about a mile-and-a-half from the proposed site. 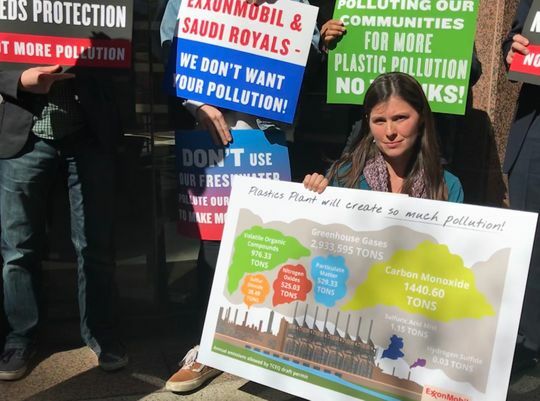 He and others opposing the Gulf Coast Growth Ventures, a partnership between ExxonMobil Chemical Co. and Saudi Basic Industries Corp. to build the word’s largest plastics plant, are urging the Texas Commission on Environmental Quality to reject permit applications. Thursday’s press conference coincided with the first day of a contested case hearing in Austin that will determine whether the TCEQ issues the permits Gulf Coast Growth Ventures needs to begin construction. The company has also set up a job application page on its website. The planned site on 1,300 acres near Gregory sits in the part of the Coastal Bend with the region’s highest jobless rates. 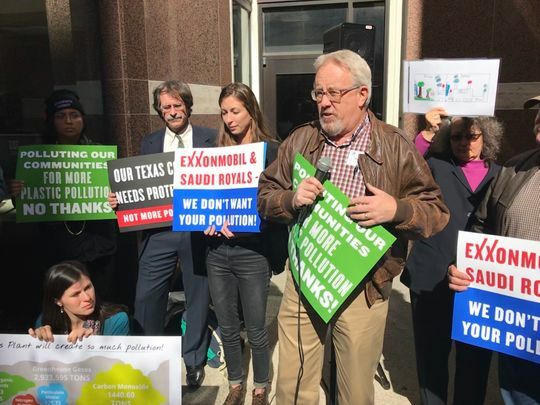 But the opponents at Thursday’s news conference organized by the Texas Campaign for the Environment said they were skeptical. Early projections, they said, forecast the creation of about twice that many jobs. However, it was later learned that many of those would actually be off-shore because the products would be exported for manufacturing plants overseas. “There is also the existing economy in terms of fishing — commercial and recreational — the birding, the tourist economy that could be endangered by the build-out of this plant and others that are on the drawing board for the region,” she said.